One hundred years ago, women won the right to vote in New York. 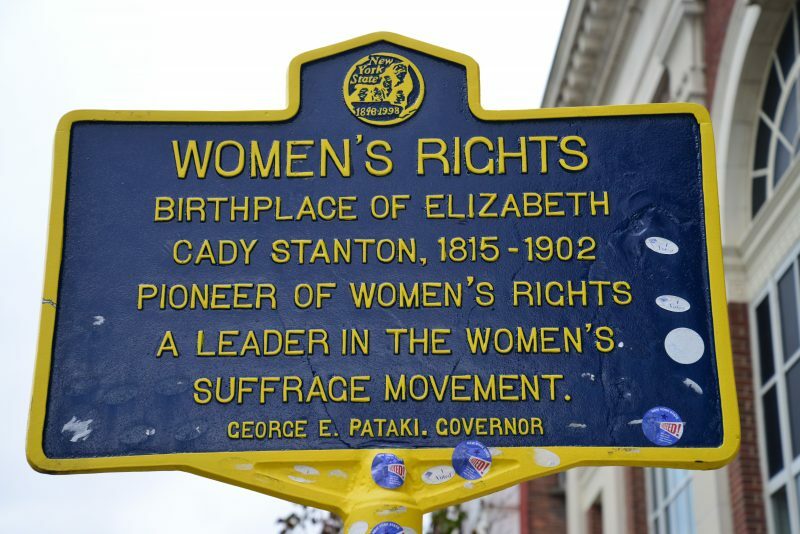 A victory moment for Elizabeth Cady Stanton – had she been alive to see the day. At 86 years, having spent her entire life fighting for the right to place a small ‘x’ on a sheet of paper and drop into a ballot box, she died in 1902. 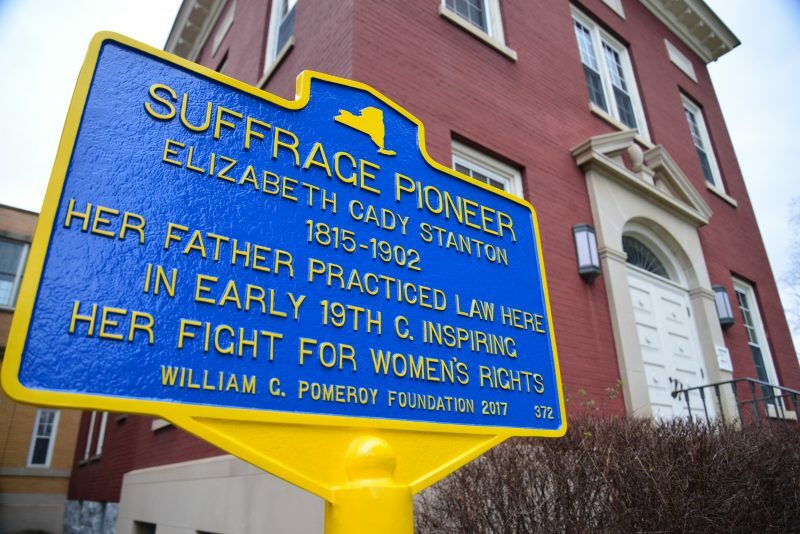 While other states, Wyoming as early as 1869, granted suffrage to women, New York State held out until 1917. Unbeknownst to me until I read the 1973 cherished classic, “The Ladies of Seneca Falls” the once-thriving village of Johnstown is where Stanton was born, raised and influenced to fight for equality. Best of all, Johnstown makes it easy to exhume the extensive history of the region. So, given the choice of what to do on my birthday on Sunday, obviously, I picked a day trip to Fulton/Montgomery counties to walk in the footsteps of one of my heroes. I quickly relied on my cell phone to provide me with feedback during a tour of the Stanton timeline. 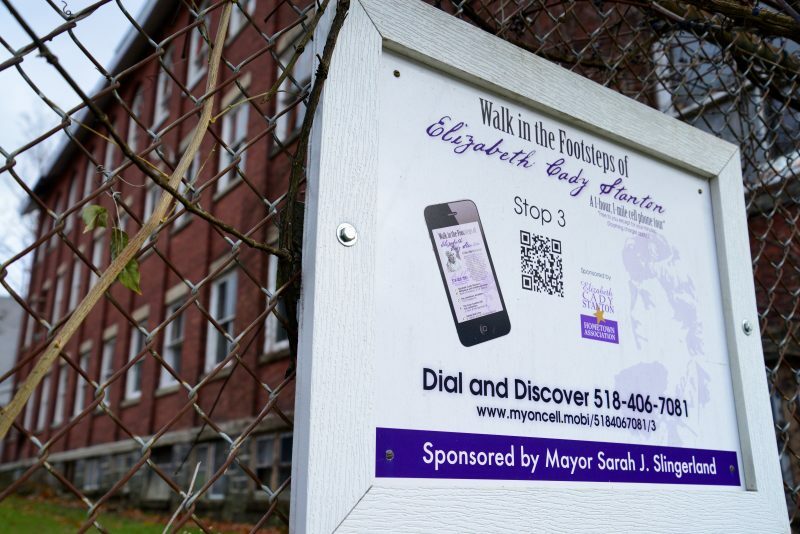 The audio tour is made available by the efforts of the Elizabeth Cady Stanton Hometown Association, a not-profit promoting the legacy and life of one of America’s most outspoken leaders. From the website, I printed out a copy of a pink map pinpointing directions to the top ten most important sites. We started at Stanton’s birthplace at 51 W. Main Street but unfortunately the home was replaced by a bank building many decades ago. Then, we headed south a couple blocks to an abandoned 4-floor building that once served as Johnstown Academy school. This is where Stanton excelled at math, science and foreign languages. Taken in by neighborhoods, still beautiful with gorgeous manor-style and center-hall architecture, I didn’t realize how unbearably cold it was until my cell phone died. 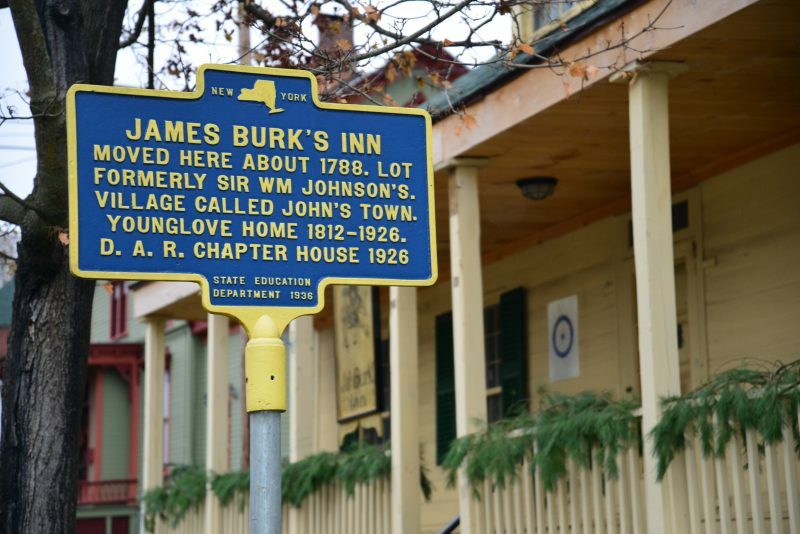 Still, I managed to listen to several recordings each describe events that unfolded in Stanton’s life at the James Burk’s Inn, Mrs. Henry’s Boarding House, the Fulton County Courthouse and the Colonial Cemetery.